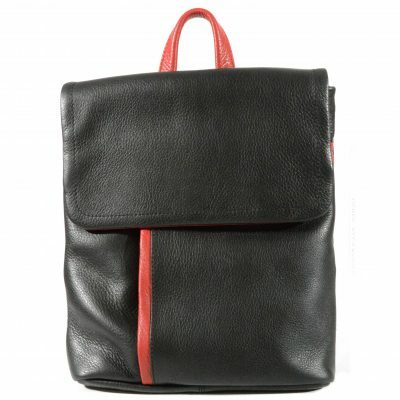 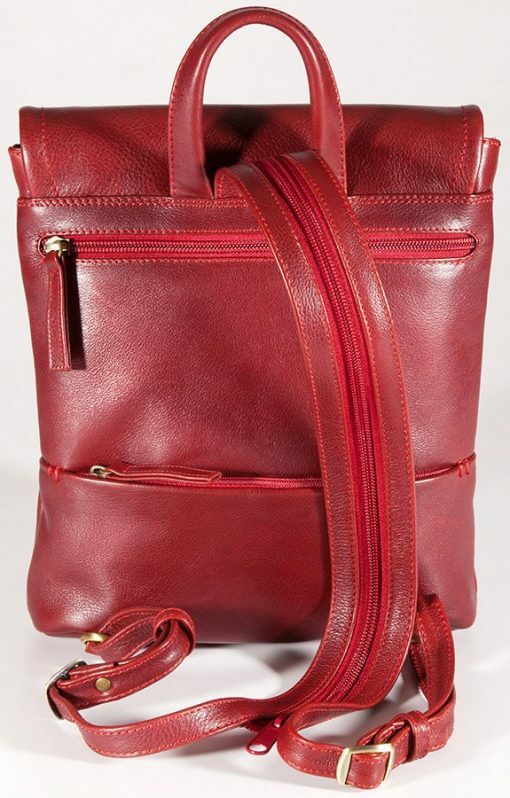 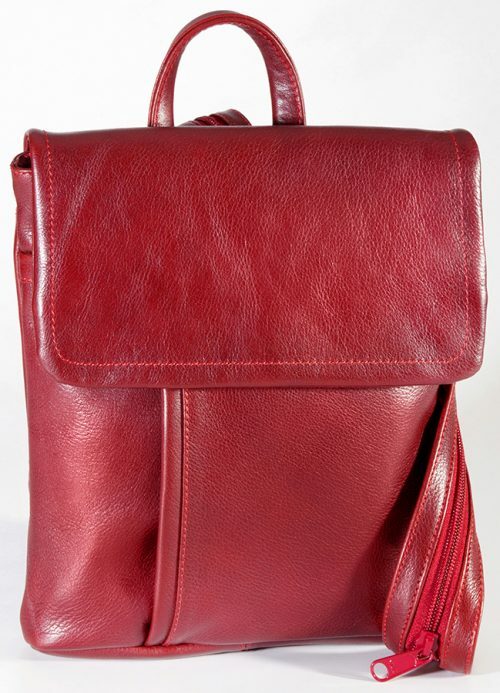 This backpack features a magnetic flap to secure the bag closed, adjustable zippered straps and includes two zippered compartments located on the back of the backpack. 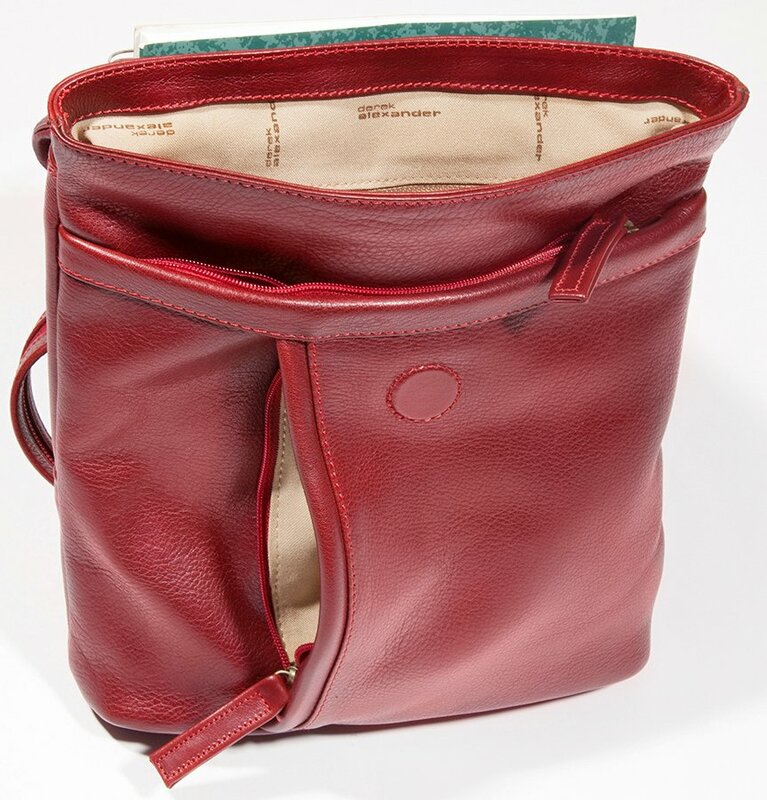 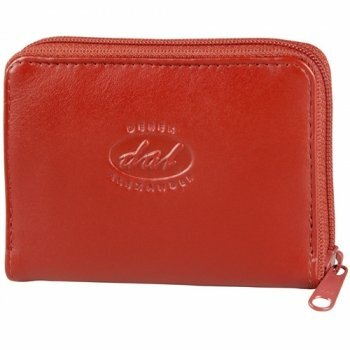 Underneath the hidden magnetic flap features two large pockets secured with a zippered closure. 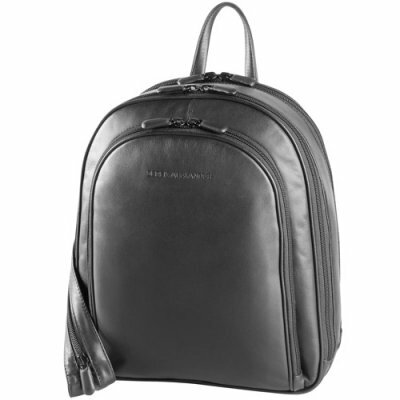 Inside the backpack includes an open compartment perfect for a tablet. 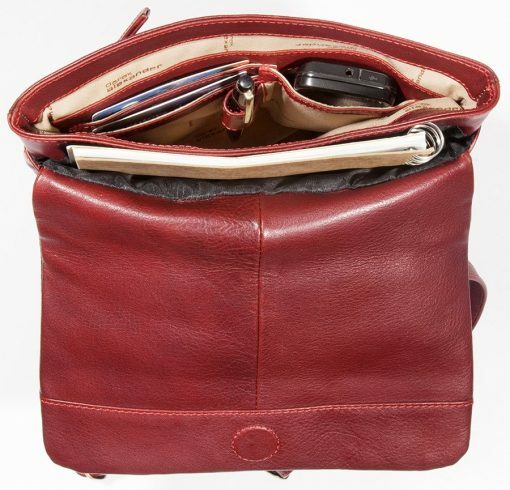 Includes a pen pocket, a few credit card slots, and other organization pockets. Please note that RED in this style is maroon red, not bright red.